This international port city is no stranger to shifting tides. 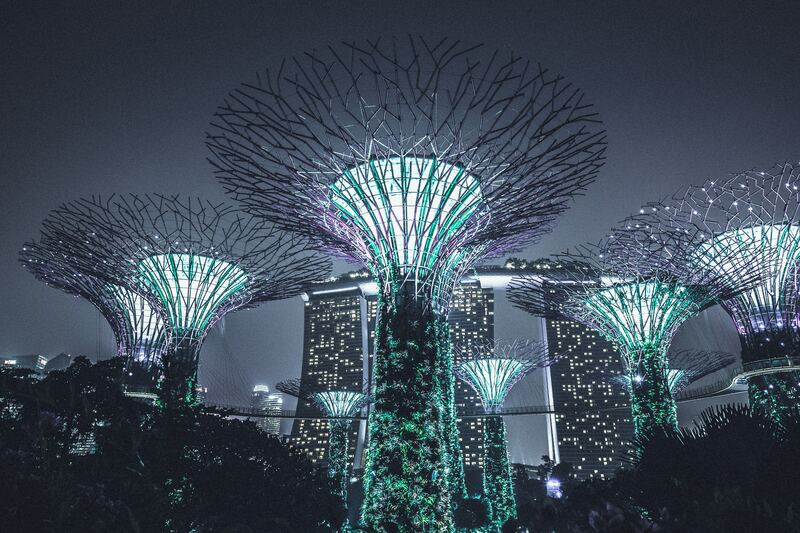 With limited land to collect and store rainwater, Singapore has faced drought, floods and water pollution in their early years of nation building. These challenges inspired Singapore to strategize and seek innovative ideas thereby developing capabilities and securing a sustainable supply of water. Currently, Singapore has built a robust and diversified supply of water from 4 different sources: water from local catchments, imported water, NEWater (high-grade reclaimed water) and desalinated water. Both NEWater and desalinated water have allowed Singapore to become more resilient towards weather variability and keep up with the growing demand for water resources. By 2060, the total water demand could almost double, with the non-domestic sector accounting for nearly 70%. By then, NEWater and desalination will meet up to 85% of Singapore’s future water demand. Through the years, PUB has embarked on an integrated, effective and cost-efficient way to meet the nation’s water needs with investments in research and technology to treat, recycle and supply water. Today, Singapore is internationally recognised as a model city for water management and an emerging Global Hydrohub – a leading centre for business opportunities and expertise in water technologies. 1. Collect Every Drop: As a city-state with limited land for rainwater collection, it is important to make every drop of rain count. PUB plans to increase Singapore’s water catchment from two-thirds to 90% of the nation’s land area. With separate rainwater and used water collection systems, good land use planning policies and strong environmental controls, the collected rainwater is protected from pollution. 2. Reuse water endlessly: Recycling water is the most sustainable and cost-effective way to increase Singapore’s water supply. To increase the recycling rate, PUB plans to (i) Reclaim used water from industrial sources for non-potable use; (ii) Increase water recovery from water reclamation and NEWater treatment; and (iii) Reduce losses from PUB’s supply by encouraging seafront companies to use seawater for cooling processes. 3. Desalinate more seawater: As an island surrounded by the sea, desalination is a natural option for Singapore. PUB will continue investing in R&D to further improve the economic viability of desalinating seawater. 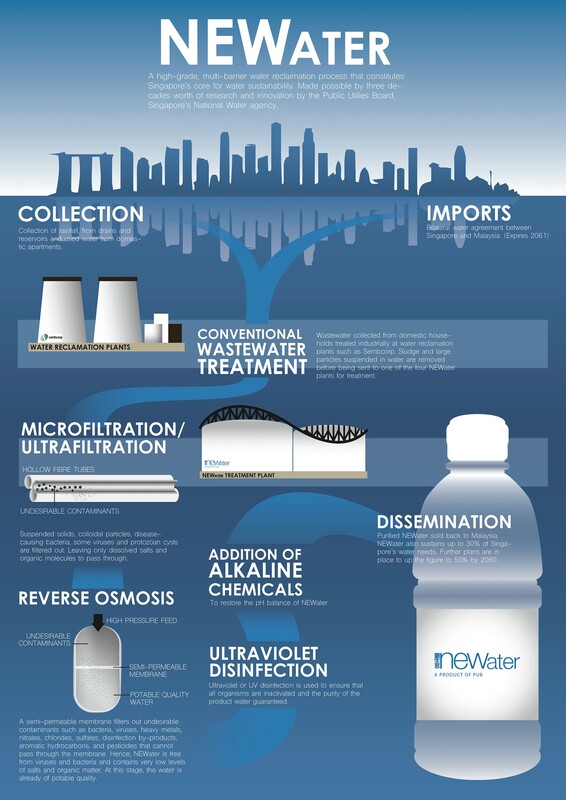 NEWater, a pillar of Singapore’s water sustainability strategy, is high-grade reclaimed water. Produced from treated used water that is further purified using advanced membrane technologies and ultra-violet disinfection, it is ultra-clean and safe to drink.  NEWater has passed more than 150,000 scientific tests and is well within World Health Organisation requirements. Twice a year, NEWater undergoes rigorous audit processes by an external audit panel comprising international experts in engineering, water chemistry, toxicology and microbiology. This high-grade reclaimed water has consistently been awarded top marks for its high quality, safety and for exceeding international standards. •	Earth Control Measures (ECM) guidelines to minimise silt runoff from construction sites into drainage system. •	The PUB holds regular dialogues with Professional Bodies e.g. the Singapore Institute of Architects, Institute of Engineers Singapore and Professional Engineers Board, to bring them on board and at the same time gather feedback from the practitioners. Ensuring an efficient, adequate & sustainable supply of water. All aspects of water management handled by one Government agency – PUB, Singapore’s national water agency, and under the Ministry of Environment and Water Resources.  This allows optimisation of the whole system. URA as the central planning authority that integrates urban planning across the various sectors of water, waste, transport , architecture and landscaping. Enhance local and international knowledge sharing and capacity building with the launch of the Singapore Water Academy. PUB organizes the Singapore International Water Week, a global platform to share and co-create innovative water solutions. Water Master Plan, long term plan to ensure water supply is sufficient for projected demands. URA’s Master Plan translates the long term strategies of the Concept Plan, integrating water considerations. Pricing water to recover both the full cost of its production and supply. Various legislation and schemes to encourage water conservation. Continued investments in the future, through research funding from the National Research Foundation. Build a strong industry ecosystem to support PUB’s mission. 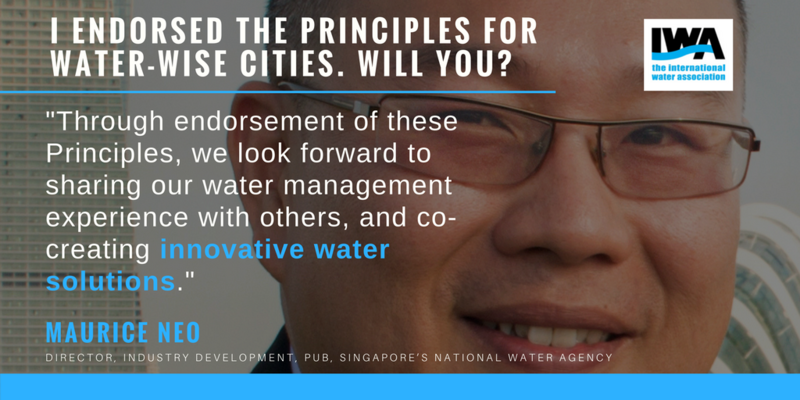 PUB Singapore Endorsed the IWA Principles for Water-Wise Cities.